Nancy Jack Todd is is involved with administration, fund raising, program development, and outreach at Ocean Arks International. 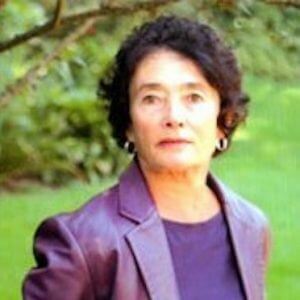 She is also editor and publisher of Annals of Earth, an ecological journal published by Ocean Arks International which brings together science, culture, the arts, and a spiritual dimension that informs them, focusing on ideas and projects that address many aspects of our environmental crisis. Todd has been active in the environmental movement for more than twenty-five years. She was a co-founder of the New Alchemy Institute where she edited the Journals of the New Alchemists. In addition to her present work at Ocean Arks International, she is the author or co-author of several books, and has contributed to a number of environmental journals and anthologies. Her most recent book, A Safe and Sustainable World: The Promise of Ecological Design (2006), has been likened to Rachel Carson’s The Sea Around Us. She is co-author with John Todd of Tomorrow Is Our Permanent Address (1980) and From Eco-Cities to Living Machines (1994). Among the numerous honors she has shared with John Todd are the Charles and Ann Morrow Lindbergh Award, the Bioneers Lifetime Achievement Award, the Friends of the United Nations Award, and the Swiss Threshold Award for contributions to human knowledge. Nancy Jack Todd has extensive experience in writing, editing, lecturing at universities and conferences, teaching, and travel. She holds strong interests in women’s issues, agriculture, food, ecopsychology, dance and the arts and their interconnections with the environment.